Millions of kids love Minecraft, and the game can be both fun and educational. The game has sparked my own imagination: I write books for Minecrafters, and I see them reaching both bookworms and kids who might otherwise not want to sit down with a book. I notice when kids say they don’t like to read, it often means they either need more help getting down the basics of reading, or they haven’t found books that speak to them. If Minecraft speaks to them (or any other topic), it might just be a matter of finding them appropriate books for their interests. So far I’ve written two Minecrafter series, with eight books currently out and four more coming out this year. The main character is 11-year-old Stevie, a boy who lives in the Minecraft world and accidentally finds a portal to Earth. There he befriends a sixth grade girl named Maison, who is artistic and strong-willed, but who feels bullied and left out at school. Despite being from different worlds and different cultures, they hit it off, and go on a series of adventures. These adventures include fighting the Minecraft mob Herobrine, finding crystals that help unlock the mysteries of the Overworld, and stopping cyberbullies from taking over Minecraft and turning it to eternal night. I want the books to have lots of adventure and chapter cliffhangers, but I also want the books to talk about real-world stuff, like friendship, school struggles and bullying. The books are aimed for ages 7-12, though I do have older and younger readers. Audio books narrated by video game/cartoon voice over actor Dan Woren are available for the first three books, and I know of classrooms using these to get students motivated about reading. I love it when I hear from kids who say they found the books engaging, and when I hear from parents who say their kids (“who don’t read”) can’t put the books down and want more. I hope it can light the way to kids reading more and finding a love of reading. 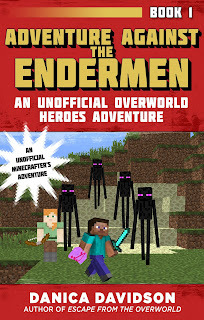 The first series, which is also available as a box set An Unofficial Overworld Adventure Series Box Set, includes the books Escape from the Overworld, Attack on the Overworld, The Rise of Herobrine, Down into the Nether, The Armies of Herobrine and Battle with the Wither. 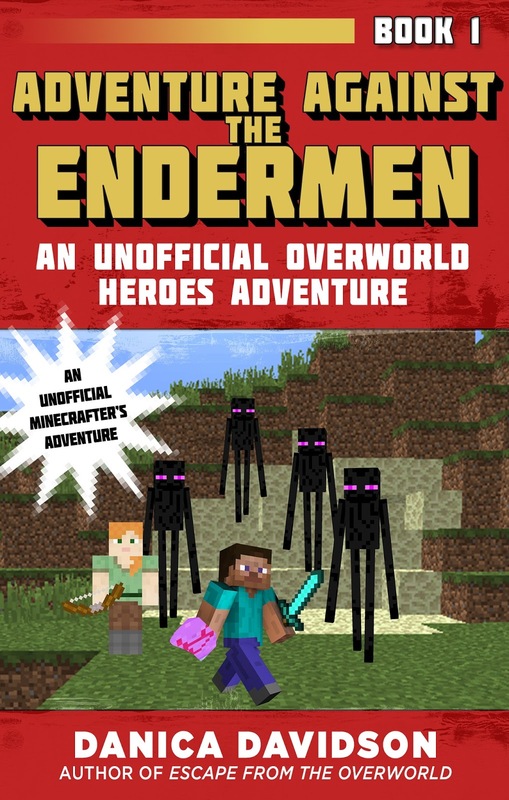 In the spinoff series, which takes place right after the first series ends, the first two books are out: Adventure Against the Endermen and Mysteries of the Overworld. The rest of the series, Danger in the Jungle Temple, Clash in the Underwater World, The Last of the Ender Crystal and Return of the Ender Dragon, will all be released in the following months. It turns out Minecraft is a great place to set up a fictional world. Who knew? Well, I guess millions of kids did. Former MTV writer Danica Davidson who writes fictional stories inspired by the wildly popular video game Minecraft. In addition to giving kids fast-paced action-adventure, Danica uses her novels to address social issues that kids can relate to, like cyber-bullying, attending a new school, gender roles, and insecurities. What makes Danica’s series of Minecrafter novels different are that hers promote literacy to kids who have a harder time with reading, so this type of format works well for strong readers as well as for kids who might otherwise rather play video games. Danica is passionate about literacy and her books include cliffhangers, twists, unique characters, and all the adventures take place as if Minecraft is real. 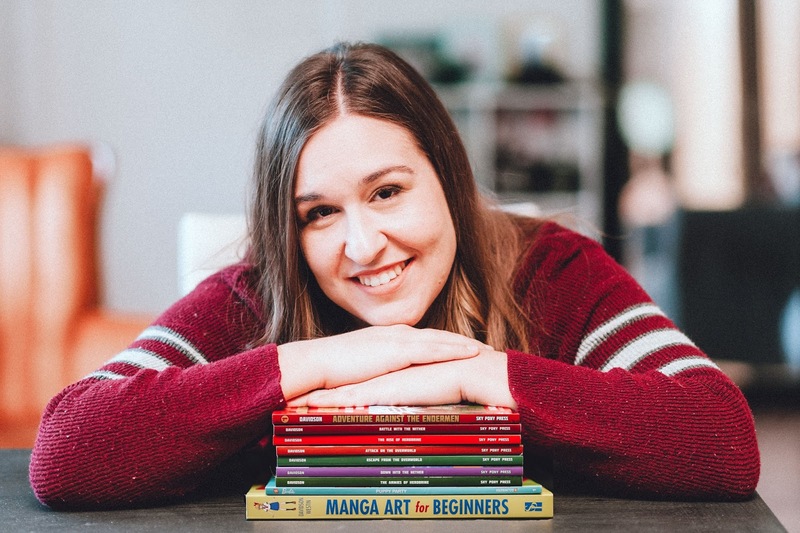 Two of her books have been selected by the prestigious Scholastic Book Fair, and the series has also been featured by NPR, Forbes, Women's Health, Booklist, and MTV, and called "Recommended Reading" by School Library Journal. Danica’s focus is to provide educational, empowering, and fun adventures with a subject that is already popular and kids love. She’s even had parents approach her and say that their kids never were strong readers, but have read every book that she has written. They sound like something my son would love to read.